Stress gets a bad rap for good reason. It can cause physical problems like skin rashes and high blood pressure. It can lead to mental health problems too, like anxiety and depression. But we feel stress for a reason, and sometimes it is good for you. The stress you feel before a big test or job interview can motivate you to succeed. It can even save your life; stress from a dangerous situation can provoke a fight-or-flight reaction that raises your adrenaline and motivates you to act quickly. Sometimes stress gives you the quick pulse and alert mind you need to stay out of danger. Whether stress helps or harms your body depends on many factors. One is whether your stress is acute or chronic. You know acute stress when you feel it--the way your heart races right after a car crash, or the sudden jolt of energy you get when you see a snake or spider. Acute stress goes away soon after the stressful cause is gone. But chronic stress is another story. The muscle pain that sets in after months of demanding work, the constant nausea you may feel during a financial crisis, and the uncontrolled weight gain you experience during a long, unhappy relationship can all be signs of chronic stress. Are you stressed out or anxious? Though we tend to use the words interchangeably, stress and anxiety refer to two different things. Understanding the difference can help you manage both. Stress refers to any thought, situation, or event that provokes anger, nervousness, or frustration. Different things stress different people out. For some it could be a traumatic breakup. For others it could be a poor job performance. Still others may feel stress when something reminds them of a trauma. When it comes to stress, everything begins in your brain. When you are confronted with danger, like nearly being hit by a car, your brain sends a distress signal to a part of the brain called the hypothalamus. This is where your brain calls the shots for your automatic functions, sending orders to the rest of your body. When you're stressed, adrenaline signals your body to rev up its heartbeat, blood pressure, and breathing. Your senses become sharper, and your brain becomes more alert. This all happens in an instant. But stress causes long-term effects too. A hormone called cortisol is released, which keeps your body on high alert until the threat passes. For some situations and some people, though, stress levels remain high even after a perceived threat is gone. This leads to chronic stress. Chronic stress can add pounds as well as worries. The chemical cortisol acts like a foot on the gas pedal of stress. It is also responsible for some of the physical changes stress can bring on, and some of these are unwanted, especially when stress lingers for weeks or months. Cortisol puts a high demand on your body's resources. You need this in the face of danger. But in the modern world stress is more likely to be caused by money problems than dangerous animals. This causes problems that can lead to unwelcome weight gain. Since cortisol taxes your body's energy stores, it also makes you hungry--especially for sugary and fatty foods that give you a quick burst of energy. If your stress isn't prompting physical exercise in response, you're likely to gain weight. What's more, cortisol encourages your body to store excess energy as fat. How much cortisol causes weight gain likely varies from person to person. Tests on sheep show that some are more responsive to cortisol than others. These high-cortisol responders eat more than other sheep when stressed and also gain more weight. 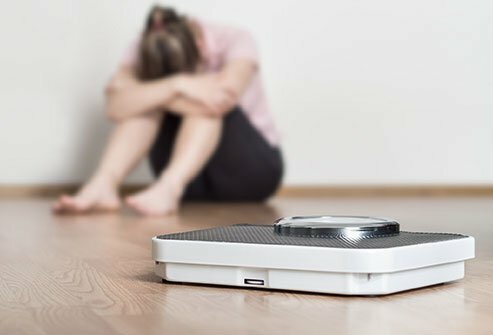 Some researchers think this could help identify people who are prone to stress-related obesity. Stress makes you tense up. That's good if you're facing down an angry predator. But if it persists, muscle tension causes several problems. 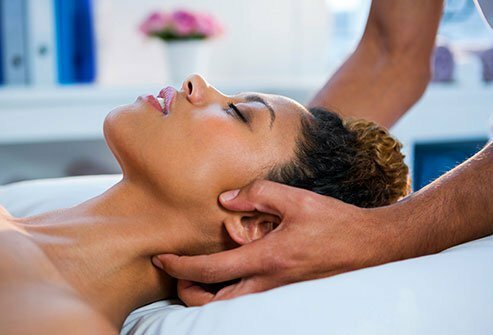 Tension headaches and migraines can result, for instance. Tense muscles can provoke more serious anxiety disorders, too. How you respond to stress could help determine how swiftly you recover from injury as well. If you become excessively fearful of reinjuring yourself, this can leave you in a state of chronic pain. Your muscles will seldom relax if you continue to feel fearful. This persistent tension can also lead to muscle atrophy, as it is difficult to move when you are intensely bound up by your own muscles. This is a problem that can get worse, as exercise is one of the most reliable means of relieving stress. Constant worry affects your breathing. People under a lot of stress tend to take deeper breaths and to breathe more often than calm people. This is your body's way of shoring up the oxygen it needs to respond to a physical stressor. That's usually fine, but not always. 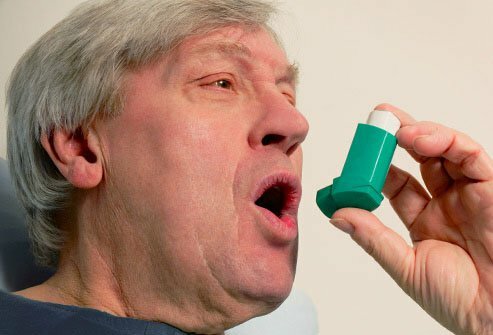 If you have breathing problems like asthma or lung disease, all this breathing can make your problems worse. When your stress is sudden and lasts for a limited time (acute stress), your heart starts pumping faster right away. It's part of the way your body adjusts to dangerous situations. That isn't especially hard on your body. But what if your "stress" lever gets stuck and you wind up with ongoing chronic stress? Chronic stress keeps your heart rate up for long expanses of time. It also causes your blood pressure to increase. These put you at greater risk of major heart disorders such as heart attack and stroke. The health problems stress brings to your heart don't end there. Repeated episodes of acute stress or ongoing chronic stress could increase the inflammation in your circulatory system, especially inside your coronary arteries. This could explain how intense stress can bring on heart attacks. In addition, stress may raise cholesterol levels in some people, which affects the circulation and heart as well. 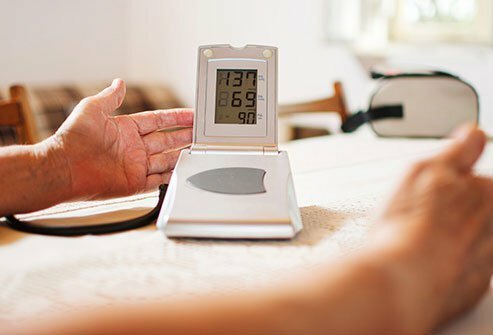 Stress carries special risks for those vulnerable to type 2 diabetes. When stress causes your body to release cortisol and epinephrine, these chemicals send a message to your liver. The liver is told to produce more glucose, the sugar that fuels your body for its fight-or-flight response. For most people, added glucose can be reabsorbed without trouble. But for someone with type 2 diabetes--whether diagnosed or undiagnosed--this can lead to dangerous consequences. This condition causes extra glucose to back up into the bloodstream, causing a variety of problems like blurry vision, extreme fatigue, and infections. Type 2 diabetes is more common for people who are overweight, who are over age 40, or who belong to African, Hispanic, Asian, Pacific Island, and indigenous American ethnicities. Does stress make it harder to fight off infections? 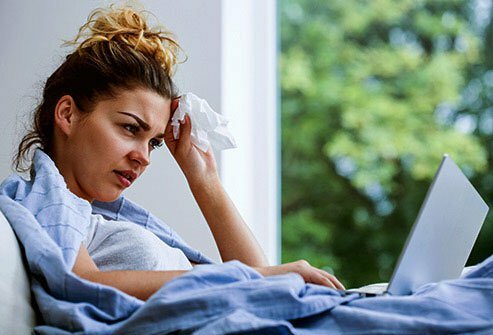 Colds, flus, and other communicable diseases may be fought off more easily if you experience certain kinds of stress. But other forms of stress can make it harder to beat that cold. Mild, acute stress seems to prepare your body to fight off infections. Studies on lab rats show that as their stress hormones rise, the animals release immune cells to the blood and skin. These are crucial places for immune cells to ward off diseases. However, if your stress is chronic, lasting for weeks or months, the opposite seems to be true. Chronic stress inhibits some of the body's most important infection-fighters: T-cells. As a result, someone suffering from chronic stress is left vulnerable to infectious diseases. Stress affects your digestive system in several ways. Almost everyone has felt "butterflies" in their stomach at the approach of a big test or an important meeting. If you experience more intense stress, though, those butterflies can transform into nausea or even vomiting. Very intense physiological stress, like the kind seen in cases of serious illness, can also cause stomach ulcers. The stomach isn't the only place along your digestive tract harmed by stress. Stress can also lead you to eat more and to eat poorly. This can cause heartburn, especially if you eat more fatty foods than normal, as well as acid reflux. These conditions are mostly felt inside your esophagus, which is more sensitive than your stomach. Stress can make the pain from these conditions worse as well. Stress can change the way your intestines absorb nutrients, and how quickly food moves through your body. In this way stress can lead to either constipation or diarrhea. It doesn't help that stress provokes you to eat more greasy and sugary foods, often in the form of processed foods. These foods can make your gut leaky, causing additional problems like inflammation. Chronic stress can change the bacteria in your digestive system as well. Bad bacteria begin to replace the good bacteria, which can be killed off. With different bacteria available, the foods you eat begin to digest differently. 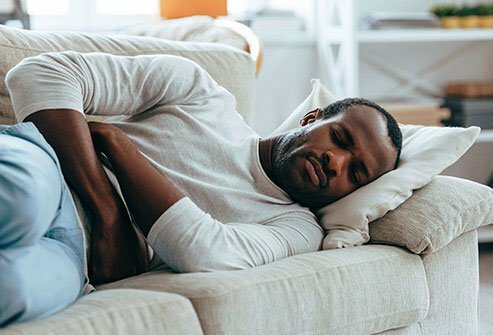 One study showed that women with irritable bowel syndrome (IBS) experience worse digestive symptoms when stressed out, and that their stress is strongly associated with anxiety and depression. The best ways to ward off these problems include exercising and maintaining a healthy diet (especially one containing fiber. However, until you get a handle on your stress, these problems are likely to continue. Studies show that stress tends to affect men and women differently. Men are more prone than women to "mental stress," specifically regarding work. Men dealing with chronic stress are less likely than women to take care of their symptoms. They're less likely to lean on friends and family for help, and are less likely to prioritize quality sleep. Clearly men could learn a thing or two from women in this regard. Hormones may be at play. While men and women release stress hormones in similar ways, there's a big difference in how oxytocin is released in response. Oxytocin promotes nurturing feelings and feelings of well-being. And women receive it in much higher doses when stressed than men do. Oxytocin may encourage women to look for help from others by nurturing and befriending, whereas men are more likely to flee from their stress or lash out in response to it. Infections of the testes, urethra, and prostate. Women are stressed out in different ways, and from different causes, than men. 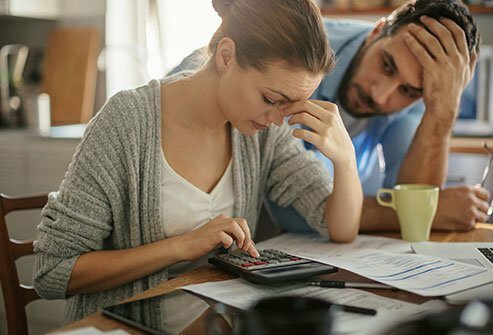 While men are most likely to report that work causes stress, women are more likely to attribute their stress to financial worries. They're also far more likely to report high levels of stress than men. 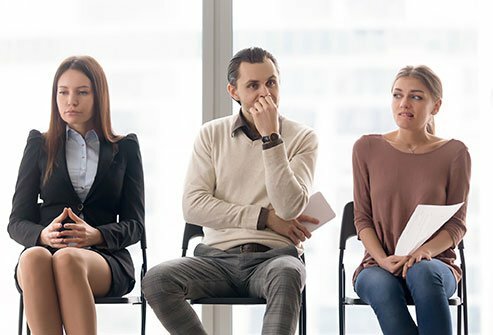 In one survey, 28% of women said they experience stress at a level of eight to 10 on a 10-point scale, with only 20% of men reporting the same. Women also handle their stress differently than men. Perhaps it's oxytocin as mentioned previously, which women get in higher doses in reaction to stress. Women are more likely to confide in friends and family and to talk about their emotions more freely. That's a good thing, as one way to cope with stress is to openly address it. What's not so good for women, though, is that their stress is more likely to manifest in physical symptoms. Women are significantly more likely to report stress headaches, stomach complaints, and crying provoked by stress than men. Intense stress can cause women and adolescent girls to miss their periods, or to experience irregular cycles. It can also make their periods more painful. PMS symptoms such as bloating, cramping, and mood swings can worsen, too. Sexual desire can wane for stressed out women as well. For women approaching menopause, hormonal changes can bring on stress. Emotional stress can make the symptoms of menopause worse, too, such as an increase in the frequency and intensity of hot flashes. Chronic stress takes its toll on a huge number of people. One survey found that more than 40% of American adults lose sleep with worry. There is good news though. Research shows that this painful and dangerous condition can be treated through behavioral changes, therapy, and sometimes medicine. Learn how to say no to commitments that will sap your energy. Tell close family and friends you're having a difficult time, and that you welcome and appreciate their support. Take small, simple steps to improve your health, such as exercising or improving your diet. Make quality sleep a priority. Do your best to look at things positively. Don't be afraid to reach out for expert therapeutic help. There are several medications available for people suffering from anxiety. These include SSRIs, benzodiazepines, and tricyclic antidepressants. 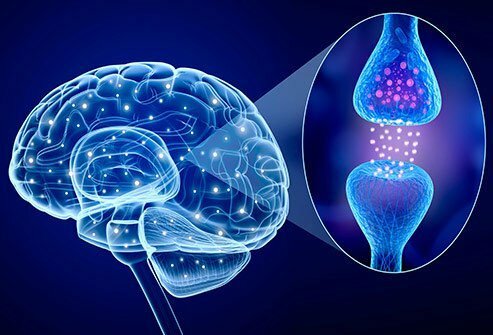 SSRIs (selective serotonin reuptake inhibitors) stop some of the nerves in your brain from reabsorbing serotonin, which leaves your body with more serotonin and helps improve mood. While generally considered useful for any form of anxiety disorder, SSRIs are also linked with sleep disturbances like insomnia, as well as weight gain and sexual dysfunction. Benzodiazepines make you less responsive to stress signals. Doing this makes it easier to relax both your muscles and your mind. However, these drugs can lead to addiction. Tricyclic antidepressants are also effective in treating anxiety and aren't addictive in the way benzodiazepines can be. They can come with unwanted side effects, though, including blurry vision and constipation. American Psychological Association: "Stress effects on the body." Cleveland Clinic: "Is your stomach churning? You may have 'gut stress." Clinical Correlations: "Does stress cause stress ulcers? The etiology and pathophysiology of stress ulcers." Dartmouth Undergraduate Journal of Science: "The physiology of stress: Cortisol and the hypothalamic-pituitary-adrenal axis." Domestic Animal Endocrinology: "Stress, cortisol, and obesity: A role for cortisol responsiveness in identifying individuals prone to obesity." Eastern Washington University: "Stress and Anxiety." Harvard Medical School: "Understanding the stress response." 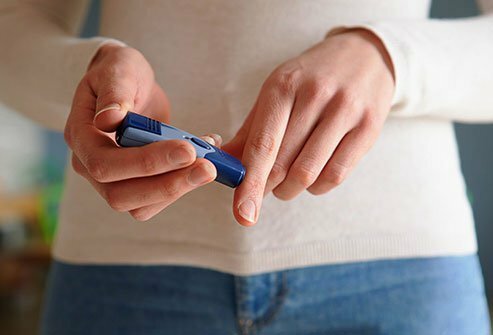 Joslin Diabetes Center: "Common questions about type 2 diabetes." NIH: "5 things you should know about stress." Nursing Research: "Daily stress and gastrointestinal symptoms in women with irritable bowel syndrome." Stanford Medicine: "Study explains how stress can boost immune system."